Blues is bound enough by tradition that it’s worth celebrating new spins on the style. 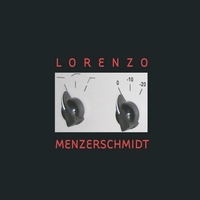 The trio Lorenzo Menzerschmidt, therefore, commands our attention and ear. LM is a collaboration between veteran musicians Victor DeLorenzo, best known as drummer for Violent Femmes; the well-traveled bassist Tony Menzer, whose rèsume includes work with Clyde Stubblefield, Perry Weber & The Devilles, the Westside Andy/Mel Ford Band, and the W.C. Clark Midwest Blues Review; and the singer-songwriter Lost Jim Ohlschmidt, a Twin Cities-based acoustic guitar ace who shares Wisconsin roots with his bandmates. Together, the three produce a fresh take on roots styles. Ohlschmidt has recorded four albums of Mississippi John Hurt songs like “Payday,” where DeLorenzo’s toms and Menzer’s doghouse bass create a low-register rumble, making an uneasy backdrop in contrast with the relaxed feel of the guitar and vocal. The band revs up Sleepy John Estes’s “The Girl I Love” with a rough-and-tumble groove straight out of “Walking Blues,” topped by Ohlschmidt’s raw slide guitar, and gives Blind Blake’s classic “Police Dog Blues” a jaunty strut. A resonator guitar’s driving rhythm paces the track, and several pithy solos, including the harmonics that were so startling on Blake’s original, offer a measure of controlled chaos. None of this material is any less impressive for being pretty standard fare, at least for Ohlschmidt. LM’s cover of Bob Dylan’s shuffle “It Takes A Lot To Laugh, It Takes A Train To Cry” is also played straightforwardly, with delicate slide guitar figures accenting the chords, and subtle brushwork and bass patterns backing it all. More adventurous is “Johnny B. Goode,” here transmuted into a minor shuffle with a descending bass line (for a reference, think of “Stray Cat Strut”)–haunting, with a hint of gypsy jazz–and given a hangdog vocal. That’s a surprising choice of arrangements for one of the most iconic American songs (and one you can bet has never been tried before), but it works. Prior to the fade, Ohlschmidt quotes both Percy Mayfield via Ray Charles (“Hit The Road, Jack”) and Tennessee Ernie Ford (“Sixteen Tons”), intensifying the sense of vertigo. It’s very cool stuff. Songs from Ohlschmidt’s pen comprise the remainder of the program. They span a range of moods. On the lighter side, there’s the roots-rocking “Check The Gauge,” which cruises on a tank full of Menzer’s bouncing bass line. Ohlschmidt packs the rocking, country-fried “29’s A Good Road” with Wisconsin landmarks, and makes the narrator of the very funny opener, “I’m A Mess,” a hopeful, lovable loser. Both are topped off with crisp, twanging electric guitar. On the other side of the spectrum, Ohlschmidt is also a master of somber, minor key songs. “It Don’t Work That Way,” its tempo, melody, and backing vocals highly reminiscent of some lost, mid-’60s pop number, provides cutting insights into human nature. The unrelentingly downcast lyric in “Shades Of Blue” is matched by a spare, jazz-tinged arrangement that is broken, at least musically, by highly Dylanesque choruses. Finally, desperately slow pacing and a hopeless lyric (not to mention a “Funeral March” quotation) in the grim blues “Since My Baby Left This Town” suggest that the singer be put on suicide watch. Ohlschmidt is a profound poet of the pathetic. So Lorenzo Menzerschmidt offers convincing evidence that artists can thrive in settings very different from those they are accustomed to, and produce music that both grips and entertains. By reworking familiar materials in unexpected ways, the band’s self-titled debut album proves that there is plenty of life–and originality–yet to be found in roots music.